Casualty has become the first mainstream drama on British TV to feature a story about female genital mutilation. It's a practice used in some cultures for hygiene reasons or to make sure the woman is faithful to a future husband. It was made illegal in Britain almost 30 years ago. However, although there is evidence some young girls are still having it done to them, no-one has been prosecuted yet. The second part of the storyline this weekend will show a young girl's battle to save her younger sister from having a female circumcision in a back street clinic. The writers worked closely with charities who help real victims. Khadija was circumcised at the age of 11 in war-torn Somalia. Now 17 and living in west London, she explained why she decided to have it done. "In Somalia circumcision is a must for every female, without which you will not be suitable for marriage," she said. "Most of my friends had gone through it and wanting to fit in the group I also wanted to go through it." Her mother arranged it despite initially not wanting her to have the operation. It is often carried out in Africa without anaesthetic. 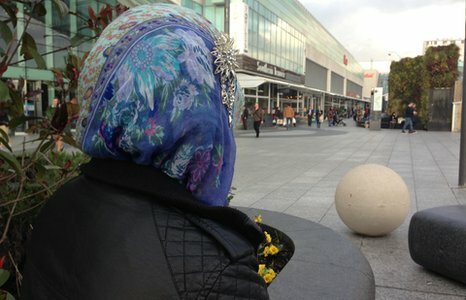 "There's a time I believed I was dying, it's so hard to describe the pain, it was so hard," said Khadija. "I decided to speak to my mum," she said. "She decided to deny it at first, but finally she told the truth. "She said she didn't want to do it but because of my father she had done it and she felt very bad. "I felt upset at the fact I didn't know before. I was angry at the whole practice. My father was well educated and I was angry he had put me through this." Fatou now works with and supports young women in the UK who are affected. Both women said they hoped the plot on Casualty would raise awareness of the issue.